Dobbys Signature: Nigerian Food Blog I Nigerian Food Recipes I African Food Blog: Domino’s Pizza Nigeria celebrates NATIONAL PIZZA MONTH! 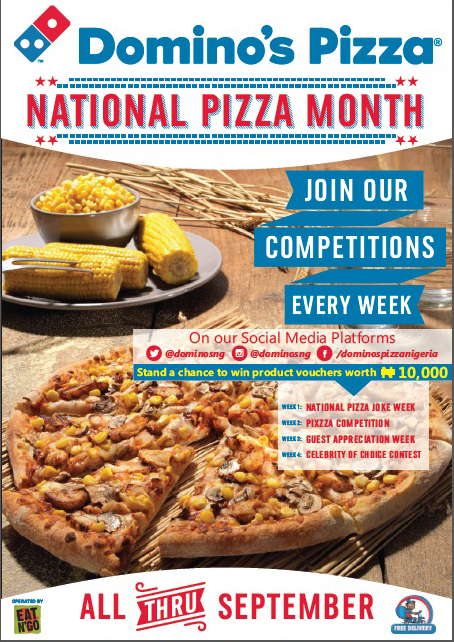 Domino’s Pizza Nigeria celebrates NATIONAL PIZZA MONTH! 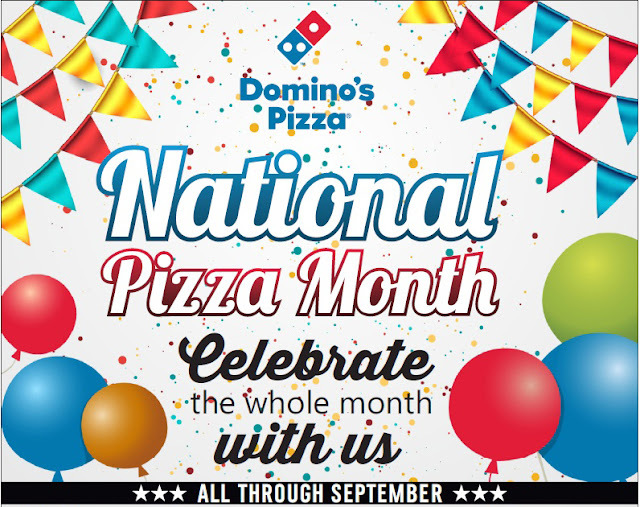 Domino’s Pizza Nigeria celebrates NATIONAL PIZZA MONTH! This is to mark the brand’s 3rd year anniversary in the Nigerian Market. 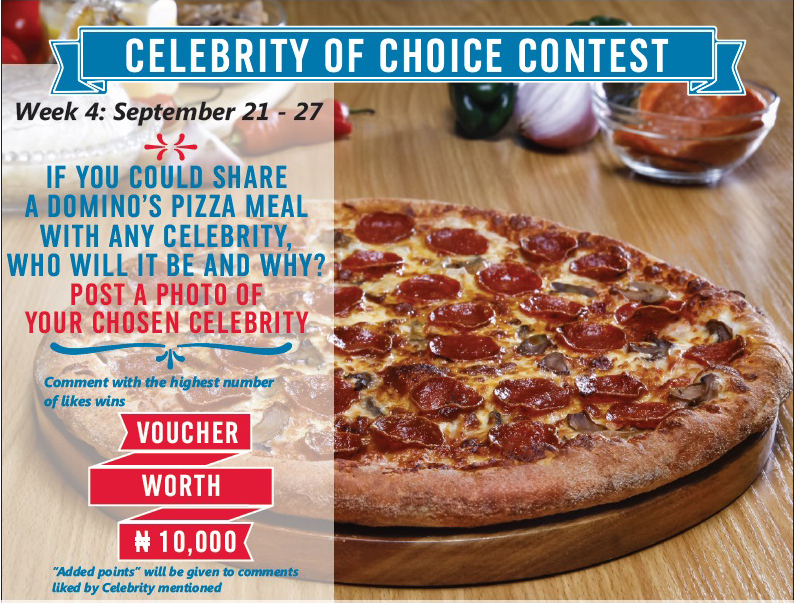 The brand is giving every Nigerian a chance to win gift vouchers worth =N=10,000 all through the month, as well as enjoy other celebratory goodies. 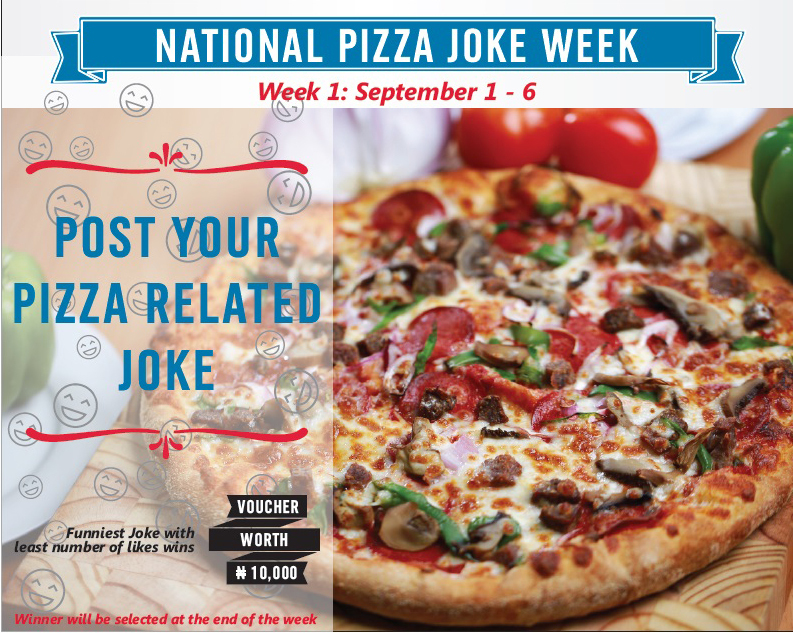 With restaurants operational in Lagos, Abuja and Ibadan, the brand is set to engage the Nigerian Consumers in a fun and appreciative month long Agenda ranging from Pizza Joke Competitions, to Pixzza shot contests and Celebrity Choice games. 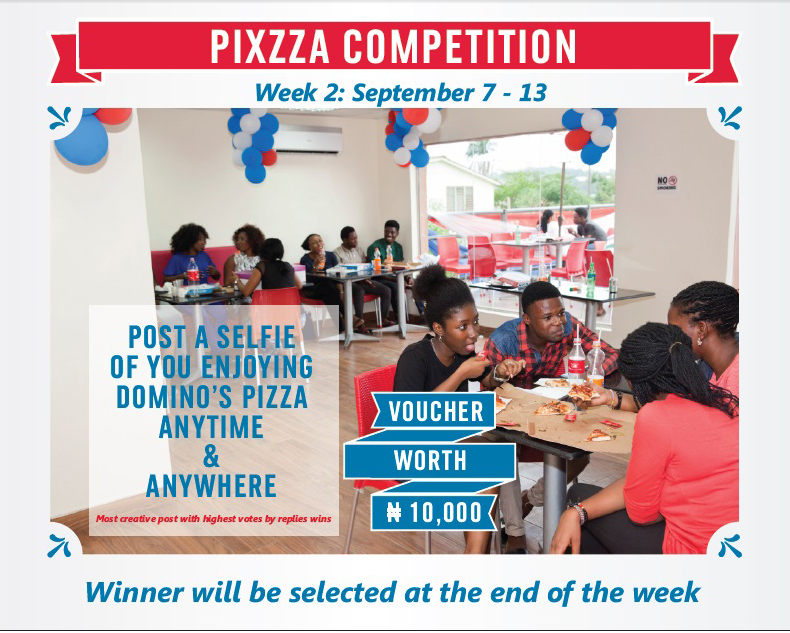 We can trust Domino’s Pizza Nigeria to show some appreciation to their guests who have supported them in the past three years. 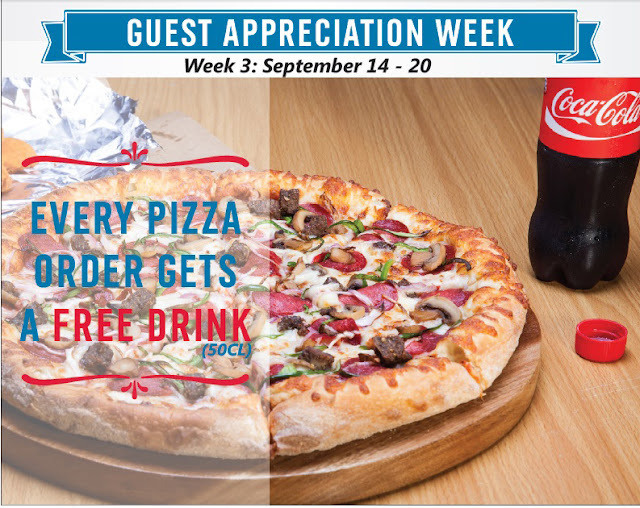 They are giving away free drinks with every pizza order for an entire week! 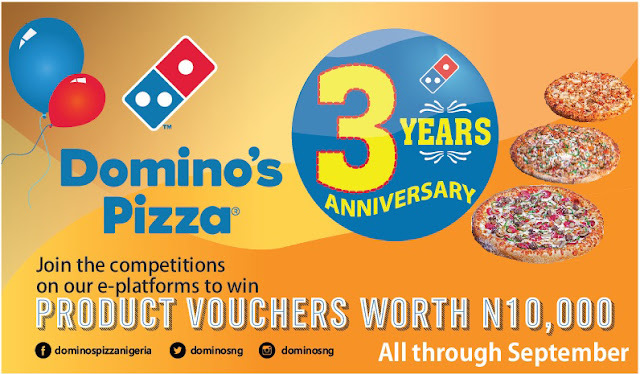 The marketing Coordinator, Ufuoma Ogeleka explains this is the brands way of saying thank you for the support accorded the brand so far; while assuring the market that the journey with the brand can only get better, as they are poised to continually improve on their products and services to please everyone. Join the fun on their Facebook page, Twitter and Instagram social media platforms.